LolaLimelight added a comment to T67396: game options and editor tools. LolaLimelight added a comment to T67312: Animals can be targeted from the air. LolaLimelight added a comment to T67276: Iron sight on Sniper Rifles should not be adjustable. LolaLimelight added a comment to T67269: Silencers are unrealistic/overpowered and should be tweaked. LolaLimelight added a comment to T67163: Hands are not aligned with the ladder at kill farm. LolaLimelight added a comment to T67146: Suggestion: Reduce recoil with lower stances. LolaLimelight added a comment to T66991: Crashing chopper in shallow water resaults in survival. Crashing in deep water causes death..
We are very sorry, this issue was closed. LolaLimelight added a comment to T66923: FPS massive drop due to "VM busy" event in arma3.rpt. LolaLimelight added a comment to T66893: Burning choppers freeze players to near. Issue was looked into and fixed. Thank you for reporting this issue to us. We appreciate it, keep up the good work and help community and developers to build better game for all. Please let us know in note section if you are still able to reproduce this issue in latest Developement build. LolaLimelight added a comment to T66889: HMG sound on boat is to loud..
LolaLimelight added a comment to T66857: Arma freezes when changing helicopter mouse control via drag&drop. The issue has been closed as fixed. LolaLimelight added a comment to T66830: Helicopters not interacting realistically with water. LolaLimelight added a comment to T66828: Game freezes in inventory in base. LolaLimelight added a comment to T66827: Cannot Alt+Tab to an empty desktop..
LolaLimelight added a comment to T66819: The stance of a character changes when performing the jump animation. LolaLimelight edited Steps To Reproduce on T66773: Hanz does the ugly dance. LolaLimelight added a comment to T66761: Bright/Subdued/Dim tracers. LolaLimelight added a comment to T66596: Impossible to attack infantry and empty/hijacked vehicles with fire and forget missiles..
LolaLimelight added a comment to T66533: Input freeze when healing without weapons. LolaLimelight added a comment to T66528: Engine of boats continues to run when in passenger seat. We are very sorry, this issue was closed as duplicate or no-bug. LolaLimelight added a comment to T66477: Game freezes in lobby..
LolaLimelight added a comment to T66363: Crackshot AI. LolaLimelight added a comment to T66329: Radio protocol: Directions are based on world north instead of group heading. LolaLimelight added a comment to T66328: Freeze-crash on control change (can't reproduce). To solve your problem we need dxdiag and files from this folder: "C:\Users\<Name>\AppData\Local\Arma 3 Alpha\"
Can you pack the files in winrar and upload it somewhere please? When the *.rar will be smaller than 2.097k, you can attach it here. Thank you. LolaLimelight added a comment to T66316: Blurred vision from supressive fire doesn't fade. LolaLimelight added a comment to T66288: driving over characters have no impact?. 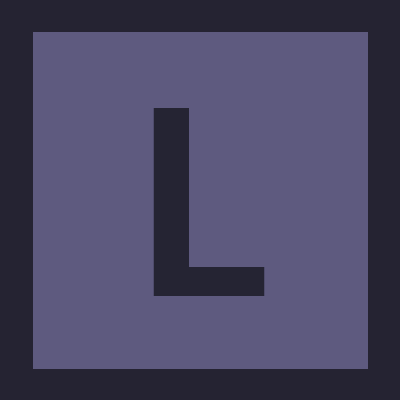 LolaLimelight added a comment to T66172: Animations, Feel. LolaLimelight added a comment to T66149: Game crashed after using voice function..
LolaLimelight added a comment to T66013: Game Freezes. LolaLimelight added a comment to T65797: Knowing your Teammates. LolaLimelight added a comment to T65765: Grenade launcher switch to normal fire mode. LolaLimelight added a comment to T65523: h-barrier does not always spawn where it was placed in editor. LolaLimelight added a comment to T65396: right click on item in inventory crash. LolaLimelight added a comment to T65362: no night vision scope, yet enemies have perfect shots. LolaLimelight added a comment to T64968: AR/MG Spread of bullets/damage. LolaLimelight added a comment to T64917: Cannot Eject while free falling. LolaLimelight added a comment to T64915: Free falling access inventory. LolaLimelight added a comment to T64897: Vehicles explode even if they do not have fuel and ammo..
LolaLimelight added a comment to T64837: Extensive lag or Some Sort of Interface Problem With Pip. LolaLimelight added a comment to T64834: Units eject when killed from assault boat + assault boat drives backwards when driver is shot. LolaLimelight added a comment to T64789: Game slows down and speeds up. LolaLimelight added a comment to T64702: Allow players to catch fire..
LolaLimelight added a comment to T64593: Actions of vehicles. LolaLimelight added a comment to T64552: Unable to turn off Quad Engine. LolaLimelight added a comment to T64549: Resuming resumes using latest continue savegame file instead of a latest user savegame file. LolaLimelight added a comment to T64487: Have to get in vehicle to take gear. LolaLimelight added a comment to T64354: Cannot resume a saved game..
LolaLimelight added a comment to T64276: Combat Stances. LolaLimelight added a comment to T64268: Game freeze. LolaLimelight added a comment to T64223: Picture blurs while reloading. LolaLimelight added a comment to T64201: handgrenades no longer timed / airburst. LolaLimelight added a comment to T64197: Cannot exit of helicopter if crashed in water. LolaLimelight added a comment to T64167: Survival Game mode. LolaLimelight added a comment to T64166: ATV's engine starts up on its own when braking. LolaLimelight added a comment to T64125: Radio tower floor open but won't fall through. We are very sorry, this issue was closed, reported bug won't be fixed. LolaLimelight added a comment to T64035: Raise and lower binoculars. LolaLimelight added a comment to T64029: Player camera stays in place when opening map resulting in sound passing away. LolaLimelight added a comment to T64023: E3 Showcase Camp Maxwell. LolaLimelight added a comment to T64022: Game speed goes down to about 30%. LolaLimelight added a comment to T64012: Silent signals/messages for stealth situation. LolaLimelight added a comment to T63996: Offroad (pick up truck) performance. LolaLimelight added a comment to T63958: (Infantry) Remove hard fixation of guns to camera direction and add speed limit/inertia for guns (or soldier itself)..
LolaLimelight added a comment to T63932: Make infantry 3rd person perspective over the shoulder. LolaLimelight added a comment to T63906: Can'tCan't shoot while on zodiac assault boats. LolaLimelight added a comment to T63890: Can't pick up / equip weapon!. We are very sorry, we do not guarantee that user generated content such as mods, scripts, maps etc. will work all time during development of the game. It is up to users themselves to make sure their work is 100% compatible with current version of the game. We thank you for reporting this issue, but try contacting author of this content to fix it. LolaLimelight added a comment to T63861: steering wheel of the vehicles not working properly. LolaLimelight added a comment to T63835: Push/Pull/Drag/Move - Interaction with Objects. LolaLimelight added a comment to T63828: Access Teammate's Gear. LolaLimelight added a comment to T63714: Manual paddling on assault boat and some further boat mechanics. LolaLimelight added a comment to T63710: Going under water with vehicle / aircraft. LolaLimelight added a comment to T63692: Can't turn quad over. LolaLimelight added a comment to T63640: Changing units spacing in formation. LolaLimelight added a comment to T63606: When holding weapon in "down" mode, toggling in optic view is problematic. LolaLimelight added a comment to T63604: NLAW missile guidance bug. LolaLimelight added a comment to T63526: Chopper rearm, refuel and repair. LolaLimelight added a comment to T63386: Invulnerable to any kind of damage and invisible to AI. We are very sorry, we do not guarantee that user generated content such as mods, scripts, maps etc. will work all time during developement of the game. It is up to users themselves to make sure their work is 100% compatible with current version of the game. LolaLimelight added a comment to T63345: Ability to trap vehicles or GpS tracker. LolaLimelight added a comment to T63312: Underwater Movement. LolaLimelight added a comment to T63276: Ear Plugs. LolaLimelight added a comment to T63238: Cannot Trade Places With Other Occupants in Helicopter. LolaLimelight added a comment to T63210: Weapons aim down when crouching. LolaLimelight added a comment to T63201: Modernize vehicle gunnery. LolaLimelight added a comment to T63156: deployable ladder. LolaLimelight added a comment to T63124: Can not get into boat from water. LolaLimelight added a comment to T63114: Mortar cannot be deployed correctly. LolaLimelight added a comment to T63105: more small island or maybe an river inlet to the island. LolaLimelight added a comment to T63100: Glitch. Could you please let us know the exact location of the container? You can find an information about your location at the top of the debug console. Thank you. LolaLimelight added a comment to T63080: Boats completely submerge in rough waves as if they were submarines. LolaLimelight added a comment to T63071: Fire rate cannot be changed while HUD is hidden. LolaLimelight added a comment to T63014: Program not responding after freeze. As Kalle82 already said, to solve your problem we need dxdiag and files from this folder: "C:\Users\<Name>\AppData\Local\Arma 3 Alpha\"
LolaLimelight added a comment to T62973: Rocket/Missile Effectiveness on Armor. LolaLimelight added a comment to T62968: Vehicles have unrealistic traction on gravel. LolaLimelight added a comment to T62955: Restart Vote in MP.